A reduced role under Jose Mourinho isn’t appealing for the 42-year-old club icon. AFTER ALMOST THREE DECADES, it seems Ryan Giggs is finally prepared to take his leave of Old Trafford. The iconic former Manchester United player, who’s been a member of the club’s coaching staff since 2013, has been mulling over his future since Jose Mourinho was confirmed as the team’s new manager. It’s believed that the Portuguese isn’t willing to retain Giggs as his assistant but has little issue with the 42-year-old staying on in another role. But Giggs, who briefly took charge of United in a caretaker capacity at the end of the 2013/14 campaign, has come to the conclusion that his first managerial post is unlikely to be at the Theatre of Dreams and is set to depart. He’s expected to release an official statement this week. Although he’s currently being linked with Nottingham Forest, Giggs has been tipped to take a break from football and wait for an enticing opportunity. Email “End of an era: Ryan Giggs set to leave Manchester United after 29 years ”. 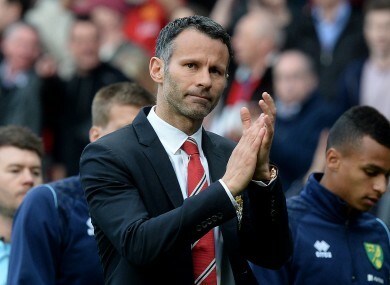 Feedback on “End of an era: Ryan Giggs set to leave Manchester United after 29 years ”.